Pitch black. 2AM. I walk through thick fog with my gas lantern held high. The waves get louder as I approach the cliff edge but I can barely see my feet. The land ends abruptly and I see nothing but blackness below. I grind to a halt. Lost. I’m looking for one of my abalone tagging sites known affectionately as “the pit”: a jagged surge channel cut into a rocky point coined by legions of field assistants who have been scrapped, cut, bruised, and soaked by its challenges. Only two ways in: an 8 ft. jump over a vertical chasm that drops into a surf pounding cave, or through a “keyhole” in the rock that requires carefully timed jumps onto algal-covered rocks between waves. We are on the extreme west end of Santa Cruz Island, a good two-hour ride in a 4-wheel drive vehicle west of the island’s official field station, which is 30 miles from Santa Barbara and can only be reached by boat or plane. Why, you might ask, would somebody be out in the middle of nowhere on a dark, cold and foggy night descending into a dangerous pit surging with waves? I was chasing the wild abalone! Three of my abalone field sites (from left): Santa Cruz island, Año Nuevo island, and Guadalupe Island. To be honest, I love abalone. Ever since I was a kid I have been fascinated by this most unusual of snails. I was first attracted to their taste but the more I learned the more I became fascinated with them as living creatures (and stopped eating them!). In college I truly began to “chase the abalone” which led me to become a field biologist. At first it was just low tides, but as my obsession grew it turned into snorkeling, which of course is a gateway to Scuba diving. At that point my friends started becoming concerned, especially because I wasn’t bringing anything home to eat. But there was no turning back. I just had to know where they lived, what they ate, how fast they grew, but most of all, how much they moved! I mean really, what do abalone do at high tide? During big storms? I must know! 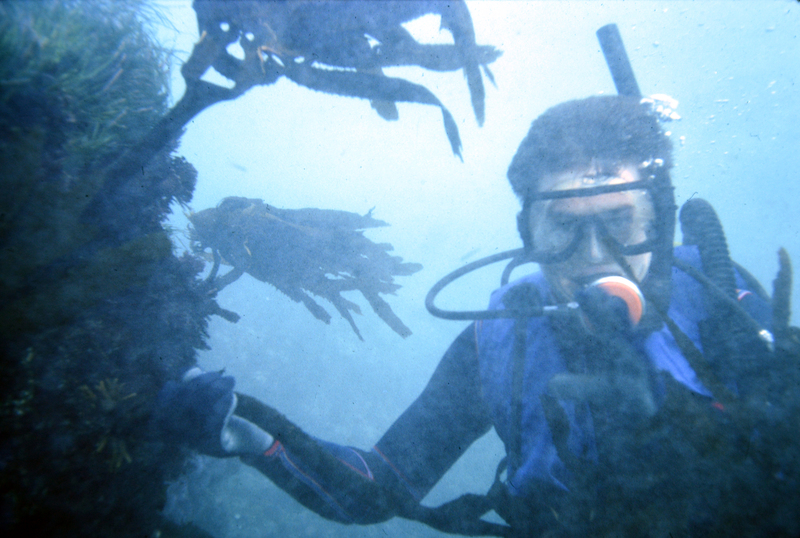 So these are my confessions — I mean stories — of some of my adventures while chasing abalone. Things I normally wouldn’t admit to but looking back were just part of the lore of being a field biologist. We all have them, these are some of mine. Many of these adventures took place in the 1980s as part of my dissertation research on black abalone on Año Nuevo Island and Santa Cruz Island in California and in Baja California in Mexico. I wouldn’t dare do anything of these things now as they would likely kill me! But because everybody wants to eat abalone, a big part of abalone field research is finding relatively undisturbed populations to study, which is quite a challenge. And ultimately that means working in out-of-the-way, remote, off-limits, and/or generally dangerous places (but also some really cool places). We field biologist’s live for this stuff. Me measuring the abalone, those mysterious creatures of the sea. Que vas abulón? Tagging abalone in the “pit” on Santa Cruz Island, from above on a calm day. Look easy, right? 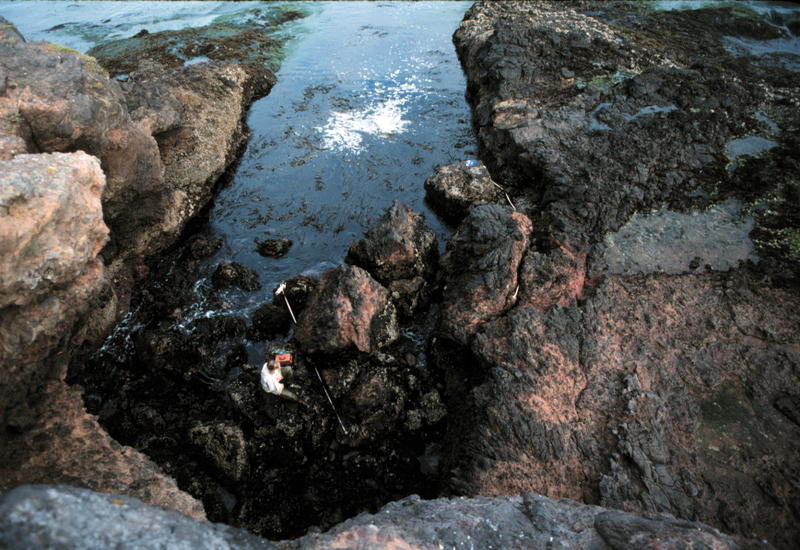 On Santa Cruz island “the pit” was just one of the many trials faced by my field assistants, which were mostly undergraduate students (for a good reason as you will see). Since I was a bit obsessed with abalone I didn’t always think about how others would deal with obstacles in the field. To me no cliff was too steep, no waves too big, no water too murky, no tide too high. “If you are not wet you are not having fun!” I would say at 3 in the morning. But as I quickly learned the students will follow you blindly anywhere, like the Pied Piper; at least at first. However, after a few cliff falls or near drownings they eventually came to their senses. ‘I’m not going down that cliff!‘ was common, or the more general “You’ve got to be fu*king kidding me!‘ as we descended into some dark abyss in the middle of the night for tagged abalone with waves crashing all around us. On Santa Cruz Island these adventures often revolved around the cliffs, roads (and I use that term loosely), and scuba diving. It is a rugged place, and far off the beaten path, so we would camp in tents near the west end trailer and hike out from there. Here are some of my more memorable experiences. A “surf” entry on Santa Cruz island on a small wave day. Photo: Susan Tissot. Fun in the Surf : There are no boat ramps on the island so we typically launched an inflatable from the beach, sometimes in sub-optimal surf. Now to be fair, opinions vary on what is “sub-optimal” but as a surfer I wasn’t afraid of 4-6 foot waves while others were simply terrified. On one occasion, just after I lectured “If a wave flips us over get away from the boat” we were promptly nailed in the surf. And as the boat flipped over I saw everyone hanging on, dragging the boat sideways to the waves. Which of course is the worst-case scenario. After a few more waves flipped us and thoroughly trashed everyone, they experienced first-hand why you get away from the boat in the surf: because the boat, and everything in the boat, ends up being dumped on you. That includes the Scuba gear, cameras, weight belts, air tanks, gas tanks, coolers, etc. Of course students don’t necessarily listen to my lectures in class either but here they learned the hard way, as did I. Hey, we still made it out to go diving! A student assistant holding on in the surge channel. Santa Cruz Island. Photo: Brian Tissot. 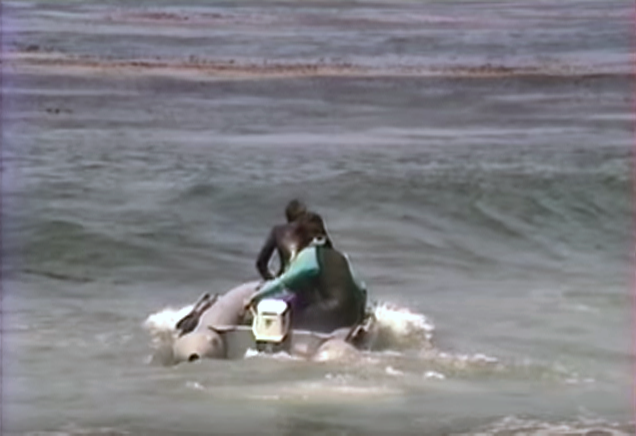 Surf Diving: When the waves were too big, or we didn’t have a boat, we just jumped into the water in the surge channels and swam out under the surf. At least I would and I often looked back to see my dive buddy standing on the shore looking a bit pissed off. Now most of these channels were fairly deep, on the order of 6-8 feet, so the waves (when big) often washed completely over their tops and it was relatively calm in the channel itself. Which was the idea of course. But as you can imagine, timing is everything, and you quickly learned to swim out with the waves, to avoid being sucked into the caves and nailed by the sea urchins, and hang on when the waves came surging back. Thank Poseidon for Eisenia (a kelp with a stout holdfast that could be grabbed in an emergency) which saved many a poor diver from helplessly tumbling away. Although once in a while even the mighty kelp can’t hold the drag force exerted on a fully geared-up undergraduate diver carrying the quadrat and transects and simply gave way. But hey, somebody had to carry all the gear and the data were worth it! 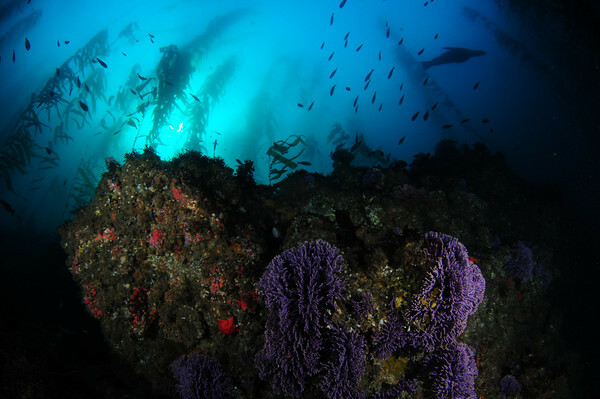 The kelp beds on Santa Cruz island were spectacular and well worth the trials and tribulations to get there. Boat Anchors and “Good” roads: And then one day my friend John Steinbeck and I decided to go Scuba diving at Johnson’s Lee near Gull island. This requires a 2-hr drive from the west end, which was no big deal, but we had the “big truck” a huge flatbed we used to lug around the inflatable, air compressor, and all our gear. We made the trip, no problem, and had a spectacular dive except for three tiny mistakes: the kelp bed was almost a mile offshore, I didn’t set the boat anchor properly, and we had an offshore wind. Now, none of these are life-threatening mistakes in themselves but in combination they can be, well, let’s just say, not fun. The bottom line is that after a great dive, and after seeing tons of red and pink abalone, we surfaced and our boat was gone! It was late afternoon, the sun was low in the sky, and we were a mile offshore on a remote island hours away from a remote field station. No other boats were in sight. Ok, we starting to become a bit concerned. So we went back underwater and circled around in a slowing growing panic as our air supply began to dwindle until — luckily — we found the boat at the very offshore edge of the kelp bed with the anchor hung up on a few kelp stipes. Whew! So we pile back in the boat, head in, load up the truck and jam out of there. But after a mile or so the road literally slipped out from under the back wheel on a turn. Yes, I was driving. 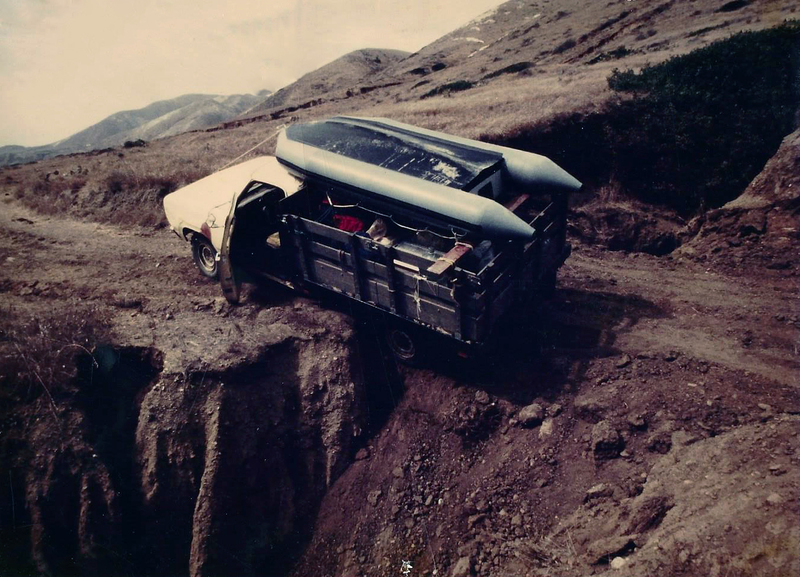 Ok, pull out the winch! No winch. Shovel? No shovel. Pick axe? Nope, nothing but dive gear. Panic returns, although of a different mellower kind. At least we were on land! How long would it take to walk to the field station? Probably a day but the boat back to the mainland leaves tomorrow morning. Suddenly, ingenuity is born. We are field biologists after all! So we used what we had — weights off our weight belt and an abalone iron — and dug our way out. An hour and several deeply bruised hands later I pulled the truck forward and we are back on the road. Thanks John! Two hours later we pull into the field station just as darkness descends, and the next day we catch the boat home to live another day. Hey, it was a great dive and our photo (left) made the “hall of fame” wall at the field station. Believe me when I tell you that there are much worse photos on that wall. As everyone says, don’t sweat the small stuff! So let’s move on to one of my other great study sites, Año Nuevo island. Whereas Santa Cruz Island is large and majestic, Año Nuevo is small and intense. 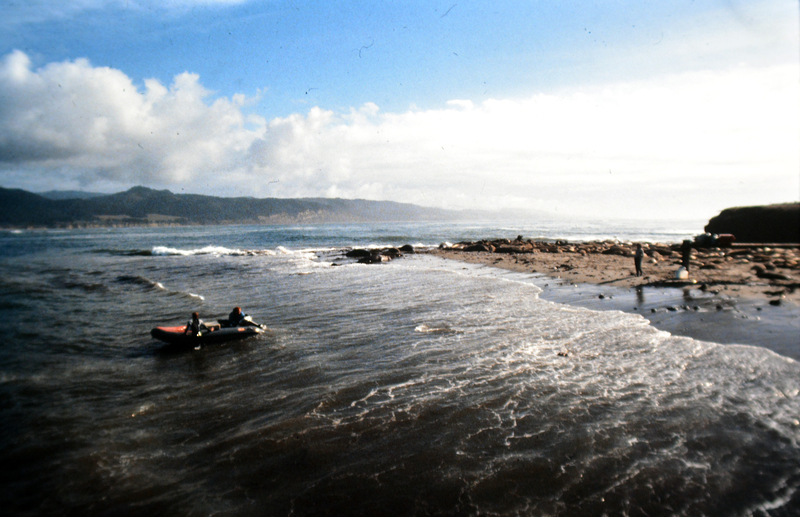 The island was a great location for abalone: isolated, difficult to access, federally protected (you need a permit to be on the island), and surrounded by seal- and shark-infested waters. The perfect abalone refuge! The only way to get there was by crossing the 1/2 mile wide channel between the island and the mainland. In some ways that was the easy part. Sure, there were cliffs to scale, the abalone were deep in large crevices, and you needed lanterns at night, but the real challenges were the wildlife and the island itself. But first you had to get there. Crossing the Channel: “Ok, start pounding the boat as hard as you can.” We were in a small inflatable boat crossing the narrow, wave-filled channel between the mainland and the island. Thump, thump, thump, thump as I hit the side with my fists. “Why?” I asked. The graduate student ferrying us across the channel glanced at us and smiled. “Well, it wakes up the big ones so they don’t attack the boat.” The “big ones” he was referring to were bull northern elephant seals which can measure up to 16 feet and weigh 6,000 pounds. As we motored into shallow water near the island you could see that the water was full of them, big dark shapes, some milling around, many immobile, apparently asleep. 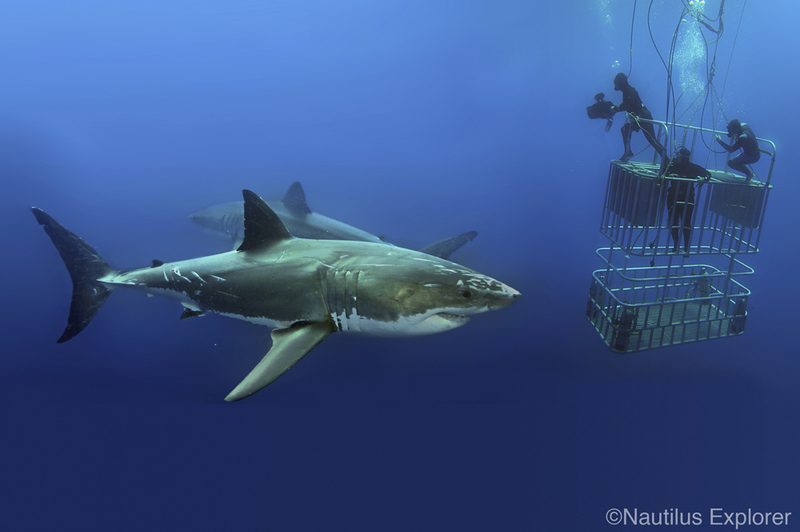 It didn’t help to know that this was white shark city: part of the “red triangle” off California where most shark attacks occur due to an abundance of marine mammals. We most definitely did not want to end up in the water (although I eventually did on several occasions). As we approached the island we saw hundreds, thousands of seals covering the beach and generating a cacophony of sounds. 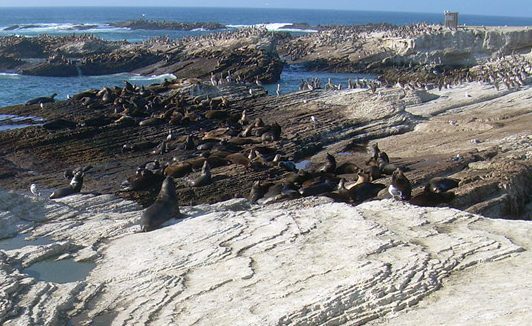 Año Nuevo island was covered with birds, seals, and sea lions. We Bought a Zoo: Almost every inch of the island is covered with living creatures; it is one of the most densely populated animal refuges on earth. California sea lions on the west beaches and rocky headlands, sea gulls nesting on the grassy knolls, cormorants high on the rocky outcrops, oyster catchers speckled throughout the intertidal zone, harbor seals with their pups in the small coves, and everywhere else, elephant seals carpeted the landscape. On one notable occasion a passing killer whale frightened the seals so badly that they forced their way into every room of the caretaker’s house. Collectively the animals created a wall of noise that alternatively sounded like a barnyard, a pig pen, a dog kennel, or a zoo. If you listened very hard you could literally hear your name being called. I am not kidding you! It was an amazing but spooky place. You could feel the energy at multiple levels. Hello! Can you guys, like, move so I can tag abalone? Photo: Brian Tissot. Close Encounters: As I began my surveys I discovered that elephant seals owned the island (literally! ), so it was difficult to do anything without running into them. Since they are federally protected (and at minimum weight over 1,000 lb.) there was not much we could do about it. Laying on my transects or blocking access to the beach we had to move slowly but deliberately and never turned our backs, especially at night when all their eyes lit up in our lanterns like some kind of horror film. Given that abalone themselves are slow, gentle creatures it added an extra sense of excitement to our work. Even big bulls, as we soon discovered, can move remarkably fast when they want to. Of course, the elephants seals were just part of the island’s story. 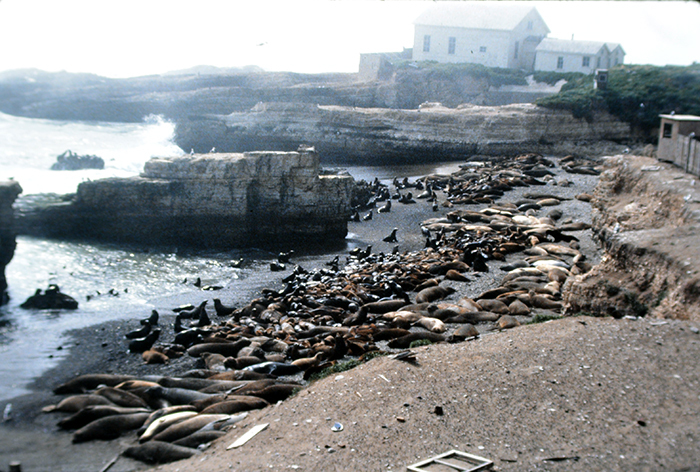 Sea lions and Elephant Seals on the beach at Año Nuevo Island near the old fog house, which served as the sleeping quarters. Photos: Brian Tissot. Haunted Houses: The island also had a bizarre and unusual feeling to it — some might call it haunted. Several dozen people have lost their lives on the island and in the channel over the years so it was kind of a magnet for disaster. Just about everyone that I ever met on Año Nuevo mentioned the strange voices … I mean noises… at night, vivid life-like dreams, and generally weird vibes. I had several recurring dreams during my visits and in all of them the island was covered with people, all walking in a strange dream-like state under a moon-lit night. I even spent one night out there alone — something I don’t care to repeat. Perhaps it was just all the seals and birds, perhaps not. 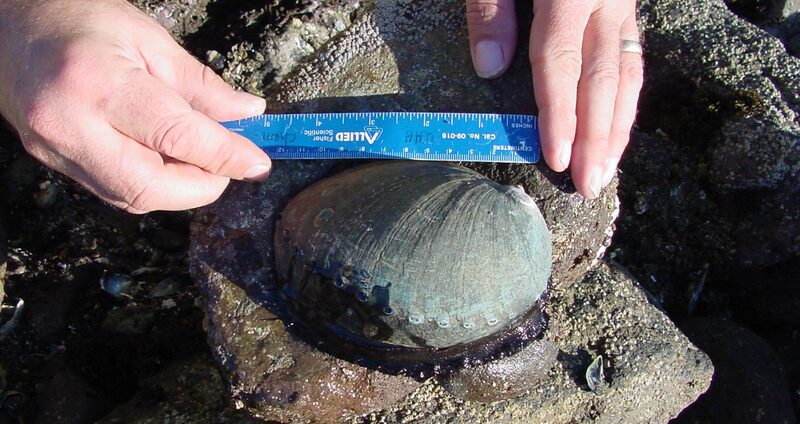 The Big One: And as if all that wasn’t enough on Oct. 17, 1989 I was tagging abalone on the island with Carol Blanchett (a fellow OSU graduate student at the time) when the ground suddenly began to shake. It was the magnitude 6.9 Loma Prieta earthquake which caused death and destruction from San Francisco to Salinas. On the island we felt a long, powerful back and forth motion for several minutes. 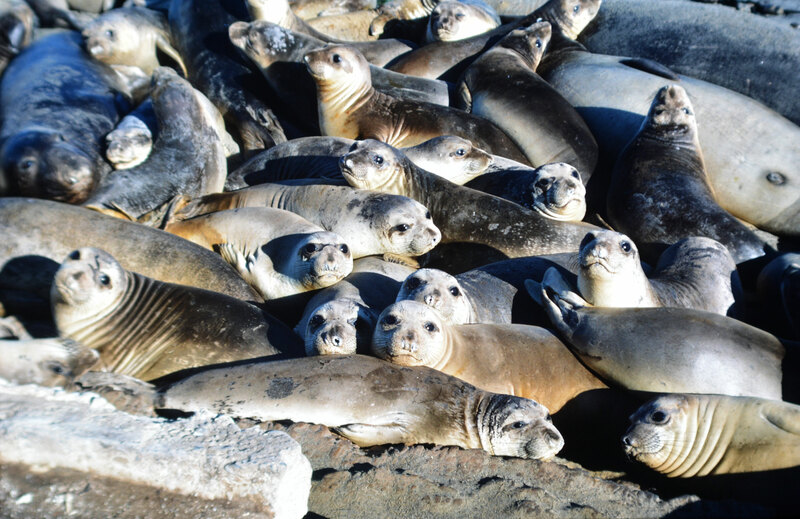 Interestingly, all the seals suddenly became quite during the quake but immediately resumed their cacophony within seconds after it was over. Life goes on. However, in the human world things were decidedly different: we finished our survey (hey, we had priorities!) and dashed back to the fuel storage building — I mean kitchen — to listen to the World Series on the radio. But instead of baseball it was like war had broken out: San Francisco was on fire, the Bay Bridge was down, freeways had collapsed, and all we could do was listen. No TV, no way off the island. In fact our only way to communicate was via a CB radio which of course wasn’t working well at the time. We both started thinking about tsunamis and the 30 ft height of the island plus it was dark. Ah…, no. Don’t go there. Two days later one of the rangers came out to check on us as our families were a bit concerned. We were fine, it fact we were probably in one of the safest places on earth, except for the seals, sharks, waves, currents… etc. Hey we are field biologists! Among abalone biologists Guadalupe Island is the holy grail of abalone ecology and evolution. A remote volcanic island located 250 mi offshore of Baja California, Guadalupe is home to no less than three unique subspecies of abalone found nowhere else on earth (blacks, green, and pinks). Everyone, including me, has seen their unusual shells but to really find out why they are they way they are you have to go there and study them. Unfortunately, it’s not an easy place to visit. Most people charter a boat but as a grad student that was beyond my budget. So I had to be creative. 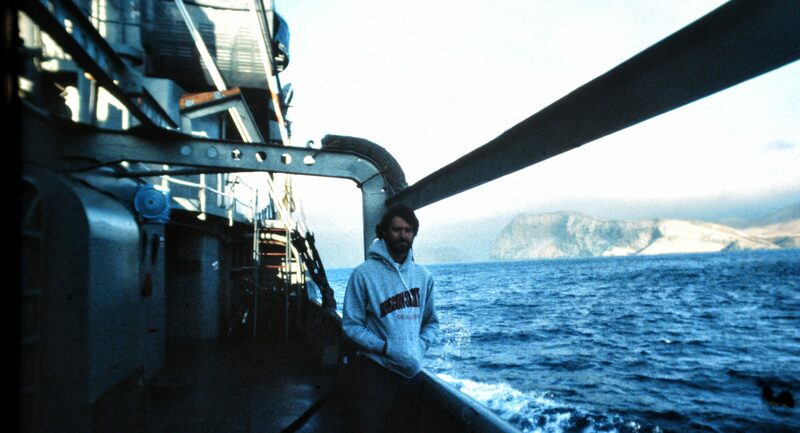 Me approaching Guadalupe, July 1987. Photo: Alberto Pombo. And so in July of 1987 I found myself on a decommissioned US WWII-era ship owned by the Mexican Navy heading out of Ensenada for a three-day visit to Guadalupe, thanks to Alberto Pombo, a fellow marine biologist and collaborator at CICESE. As the ship rocked and rolled its way out to the island I developed a new-found appreciation for tin can sailors but as we approached the island I also felt my trepidation growing with regards to the sharks: Guadalupe is well-known as the home of a large population of blue-fin tuna and marine mammals and their predators, great white sharks, including one of the largest white sharks ever seen at 21 ft.
What Guadalupe is famous for: large great white sharks. Photo: Nautilus Explorer. The next morning was magical: as we approached the island the low fog parted to reveal the long, jagged profile of Guadalupe Island with its steep volcanic cliffs. We pulled into the southern end of the island, Melpomene Cove, and the captain immediately announced there was a change of plans: we would be heading back to Ensenada in 5 hours. Yikes! I immediately sprung into action. First, I scoured the intertidal zone but found no abalone. Then I walked the road to visit other parts of the island but quickly gave up as the road climbed steeply into the mountainous interior. No longer able to stall I pulled on my snorkel gear and entered the water. I was shaking. 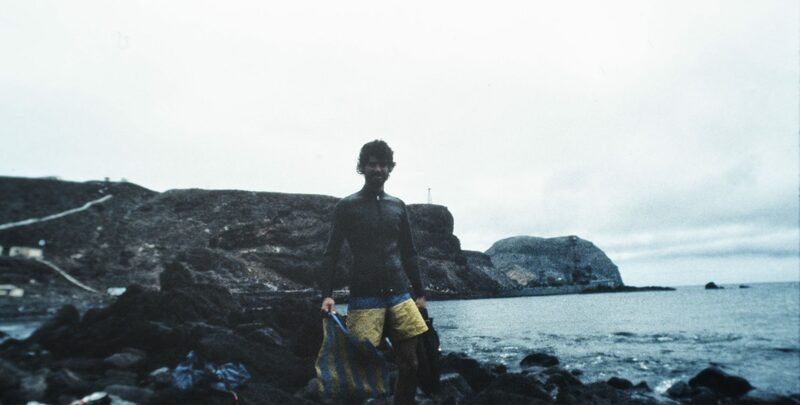 Going snorkeling at Melpomene Cove, Guadalupe Island, July 1987. Ship in the background. Alberto wisely stayed on shore. This could have been the last photo of me, ever. Photo: Alberto Pombo. Melpomene Cove is well known as the site of several shark attacks on abalone divers, so to say the least I was a bit on edge. This is one of these moments in the life of a field biologist where my unquenchable thirst for knowledge collided head-on with my lower brain stem, which was screaming at me to run away. But yes, we are human so the biologist in me won out — but just barely. But as I swam slowly offshore in the crystal clear water I quickly had second thoughts. Face down, snorkeling to the bottom and back, head pivoting from left to right, looking behind me every 30 seconds, I had one of the scariest dives of my life. It occurred to me more than once that I looked just like one of seals sitting on the rocks offshore — a porpoising dark shape, with bright yellow trunks to boot — and the favored meal of great whites. And of course the seals were decidedly absent from the water right then for some reason. Unfortunately there was no abalone to be found and I heard later that Guadalupe had been fished out for many years. Now you tell me! At any rate it was a memorable experience and a true test of my courage as a field biologist, but not one I care to repeat. Take that sharks! Plus I did grab a few shells! And so these are a few of my stories and of course there are many more. So for those students that see me sitting in my office starting blindly at the computer all day and wonder how I can handle it. Remember: I wasn’t always like that and so now you know. Plus I still do get out in the field occasionally. Also, all field biologist have these types of stories as it is both a part of the job and part of the attraction. Plus who ever said that science was boring? No marine field biologist that I know!